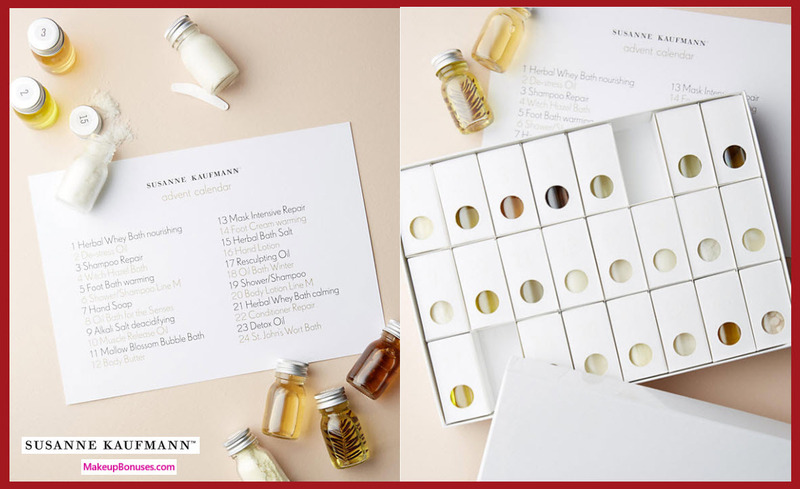 I love these, there such a great idea as an alternative to an advent calender and this way you get to try the product before you invest fully into. I had one last year and I ended up buying the full version of 3 of them, but it was a great way to test them out. 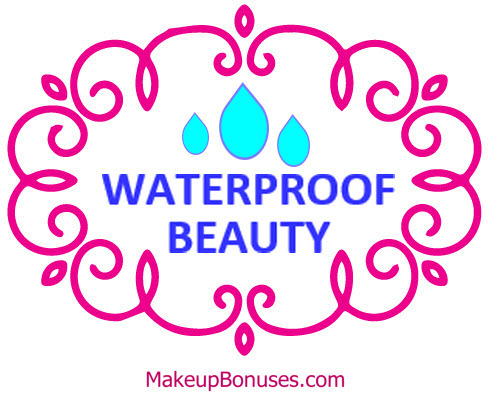 Hi Archtrove, I agree, these are a great way to sample lots of different items! 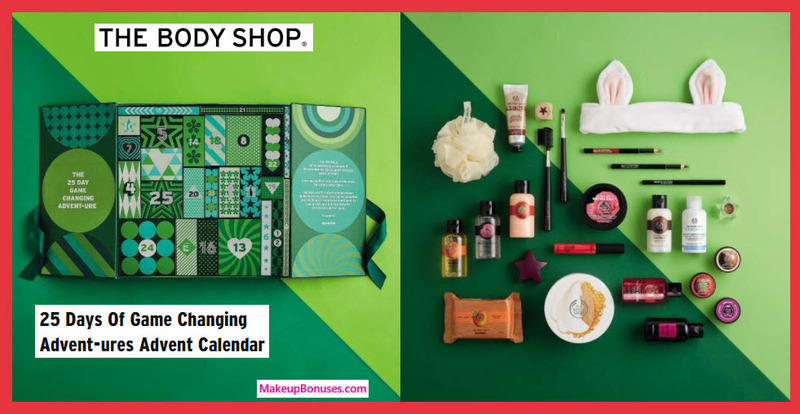 I hope you are able to pick up one of these fun beauty advent calendars again this year. 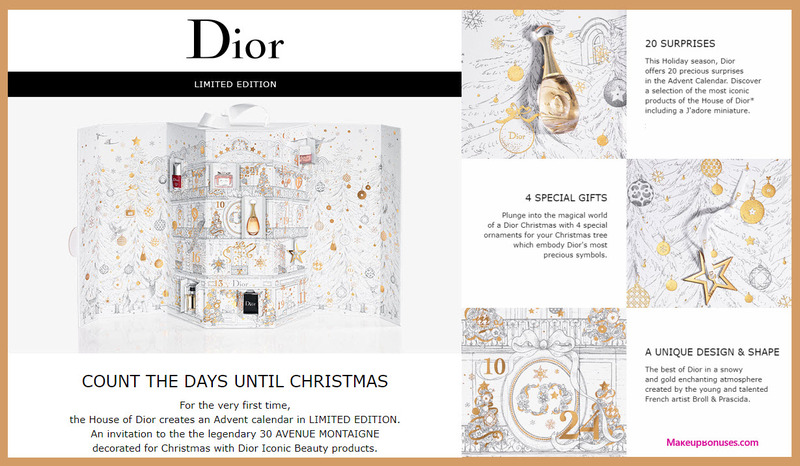 I had no idea there were so many awesome advent calendars available! I always buy a chocolate one for my kids, now I think I need one of these! It’s so hard to choose though, which one do you think is the best value? 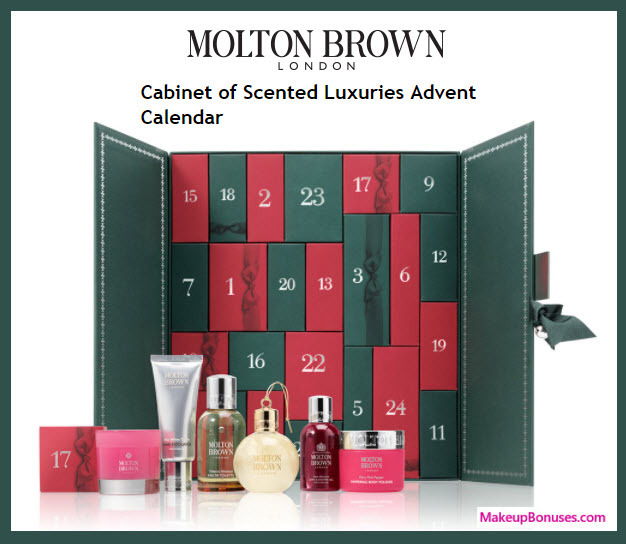 Hi Corrine, These are an awesome way to let adults in on the advent calendar fun! 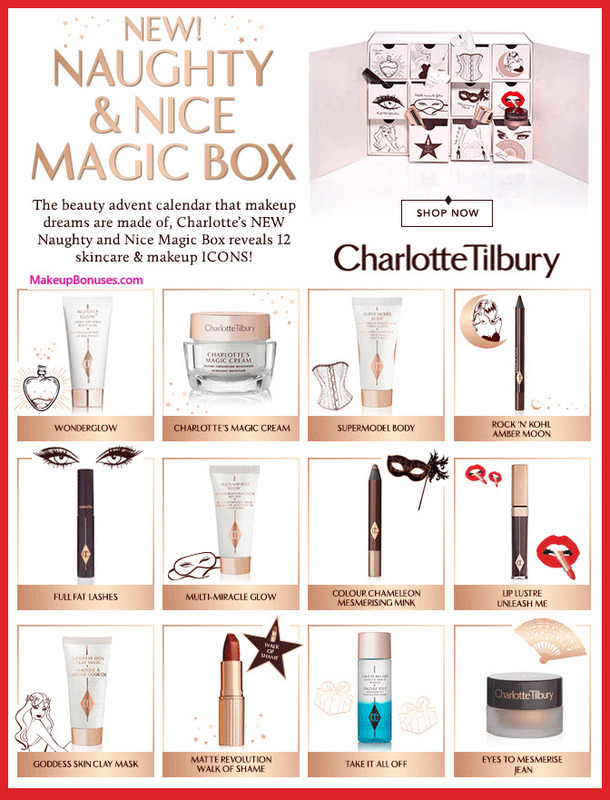 My 2 favorites are the “Beauty in Wonderland” advent calendar from Look Fantastic (25 pieces for $115) and the Naughty & Nice Magic Box from Charlotte Tilbury (12 pieces for $200). 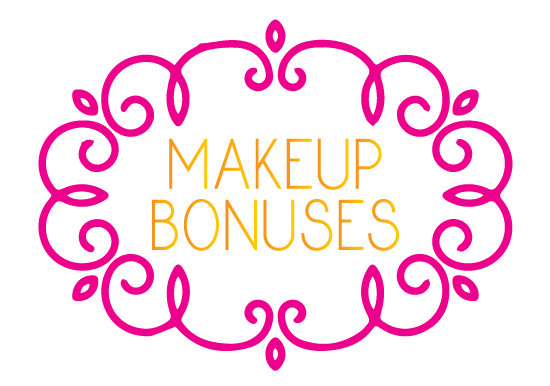 Thanks for visiting MakeupBonuses.com! 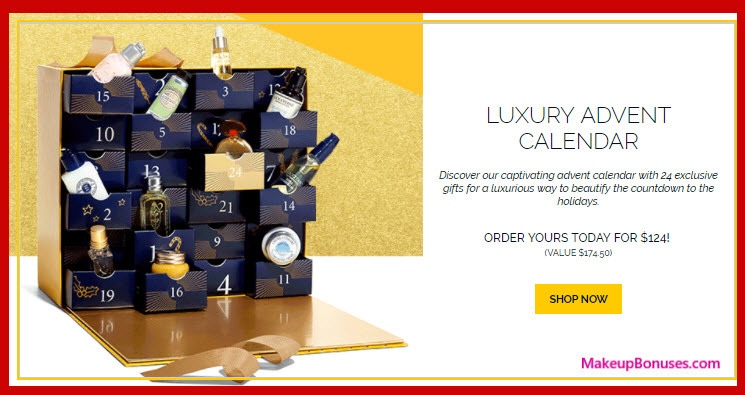 Have a great holiday season!! 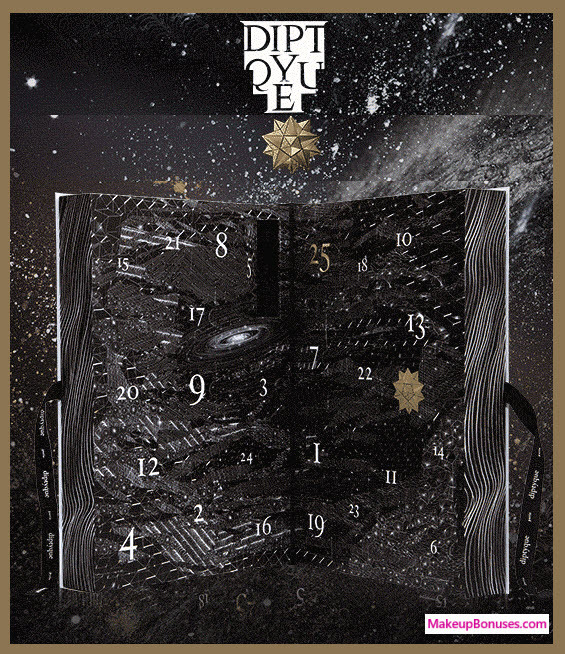 This is a terrific blog about unusual advent calendars.I love it. 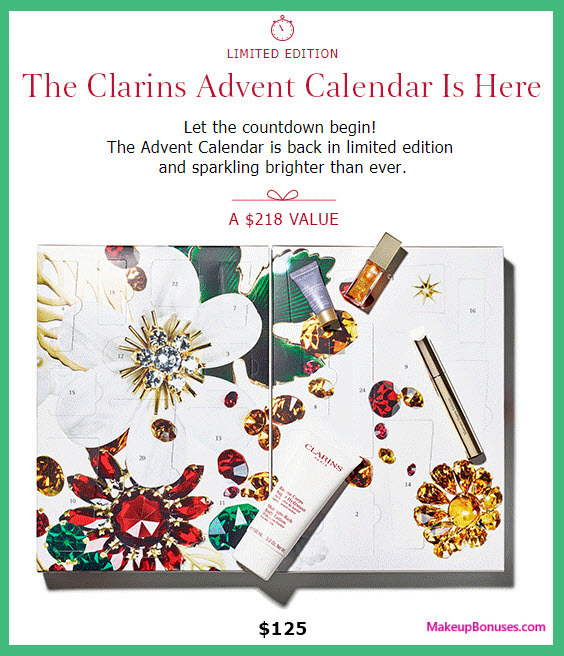 I had no idea these types of advent calendars were available and I’m already thinking about gifting one or two. I just can’t decide which yet. 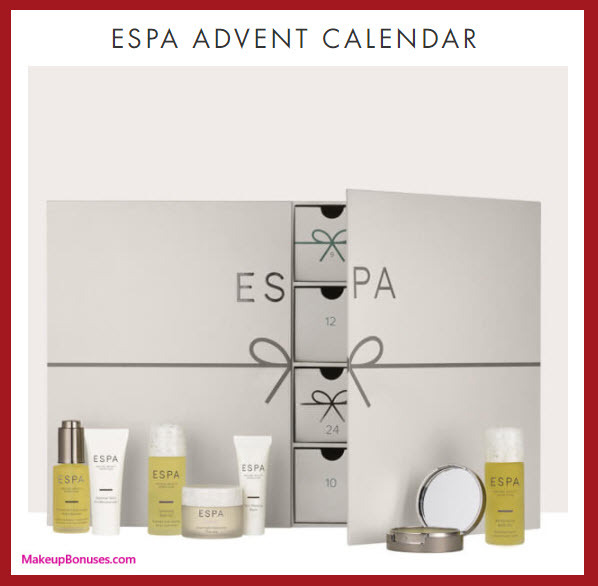 Thank you for assembling the Advent Calendar list to help narrow down the choices! Thanks Karen, There are some great options available! 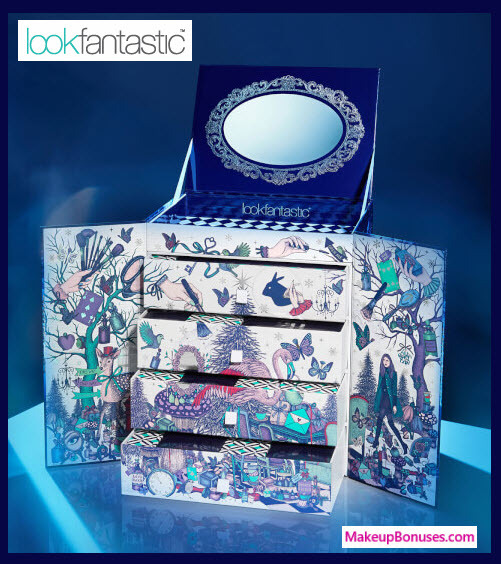 One of my favorites is the gorgeous “Beauty in Wonderland” advent calendar from Look Fantastic. 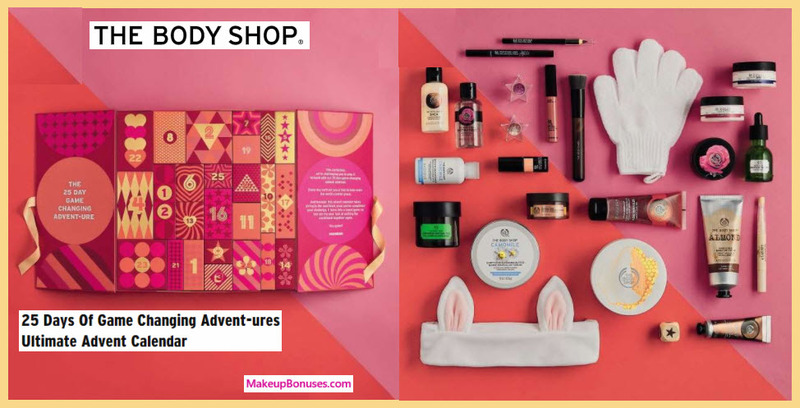 The gifts are individually wrapped, 9 items are full size products, and the container includes a mirror so that it can be used even after the holidays as a cute way to hold your beauty collection!